A magical love story involving a man who lives his life like a ghost and a country girl that falls in love with him. On a rural mountain in Jumunjin, South Korea a girl named Jina (Hwang Bo-Ra) runs a mountain lodge. The place is soon set to close down because of rumors that ghosts live in the lodge. Jina then encounters a ghost (played by Kim Ki-Bum) who she takes an interest in. But, the closer she gets to help him the further the ghost pushes her away. Movie title "Jumunjin" is named after the Korean town Jumunjin in northeastern Gangneung City, Gangwon-do, South Korea (movie will be based in the town of Jumunjin). Principle actors Kim Ki-Beom & Hwang Bo-Ra first worked together in the 2005 MBC drama "Rainbow Romance". Mel Lee Jul 27 2013 2:49 pm Wow - that kiss was... whew! Got to love a guy with long black hair - the clothing was also amazing. SuperKorean13 Jan 06 2012 8:08 am KI BUM!!!!!!!!!!!!!!!!!!!!!!!!! LoVE You!!♥♥♥!! Hee Aug 19 2011 1:10 pm This is like THE MEDIATOR SERIES by Meg Cabot. yasmin Feb 27 2011 11:58 pm this film is just so great even though it have no english sub but i am happy to see him he is so cute!!!! shinhyunyoung Nov 22 2010 3:35 am kibummie oppa! your so handsome in this film... saranghe oppa!!! 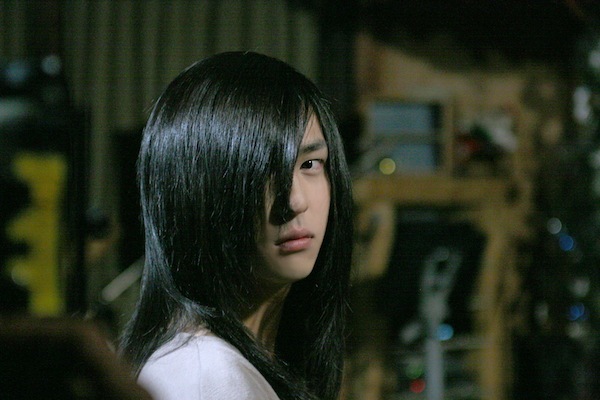 i like your film because it with you tears and your sweat.... SARANGHEO KIM KIBUM OPPA!!! Bart Sep 01 2010 1:27 am what the f***!!?? the girl is so ugly!!! sigh* this seems like a really good movie/show. rara Apr 25 2010 6:56 am I ♥ you ki bum I miss seeing you at suju! 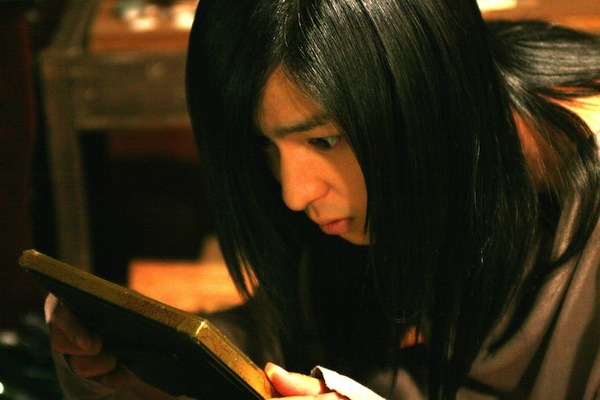 But I can't wait to see your movie :D saranghaeyo oppa..
sky Elf Forever Apr 20 2010 7:51 pm ki bum oppa fighting 1!!!!!!! yazayue tsukishiro Jan 30 2010 11:38 pm ahhhhhhhh! long hair... long hair!!!!!! girlish but hot! Nadia Jan 28 2010 10:56 am I really,really,really want to watch this...if anyOne know how or where plezz@ Nadia080@gmail.com Thanx & Take care. arinay Dec 23 2009 1:48 pm Uuu.. Cant wait to see kibum act!